Welcome to our home, your room is on the first floor of our four floor apartment in a renovated canal house, which dates from 1930. There are two rooms available, one at the quiet back side and one at the front side of the building. Each room has a private shower and toilet; tv, free WI-FI, quality king-size bed, fridge, coffee, tea facilities. You're welcome to come upstairs to enjoy the view from our roof garden and to make some pictures. The house is located in the old town Centre of Amsterdam, only a 5 minutes’ walk from Amsterdam Central station and most attractions are at walking distance. From Central station you can take local trams and busses and national and international train services. Museum Square (Rijksmuseum and Van Gogh museum) can be reached within 10 minutes by tram number 2 or 5. The owner speaks English, Dutch and some French. The Oudezijds Voorburgwal was dug between ******** and is the oldest canal of Amsterdam. The canal used to be called Fluwelen Burgwal (Velvet Rampart), referring to the wealthy families that lived here, usually dressed in velvet as a sign of wealth. Almost all the housed have been restored to their original condition. A beautiful example is the “Huis aan de drie grachten” (House on the three canals) at the end of the Oudezijds Voorburgwal, with a gable stone that mentions the name Fluweelen Burgwal. Inappropriate use of rooms and beds, etc is not acceptable. Any damage to property will be charged. Smoking is prohibited in all interior areas - not even at an open window. Each room has a smoke detector. 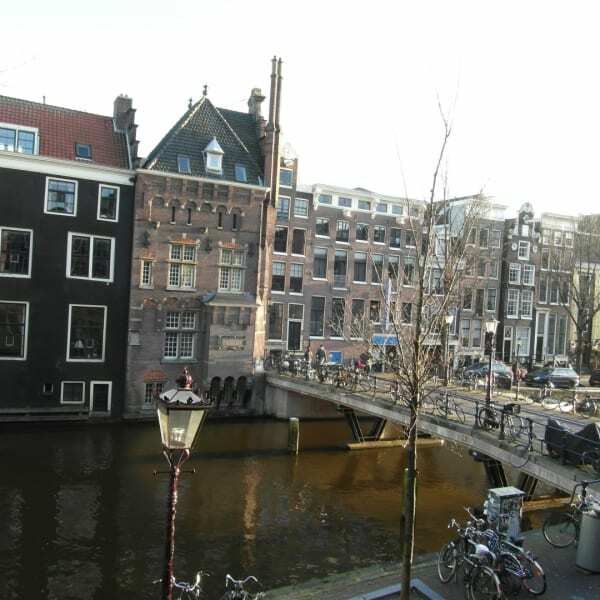 House is located near Amsterdam Central Station, Dame square and Zeedijk popular gay area in Amsterdam.